Venue: KB112, KB Block, UTAR Sungai Long Campus, Bandar Sungai Long, Selangor. This talk gives a survey of crowdsourcing applications, with a focus on algorithmic solutions. The search for missing Microsoft scientist is used first as a motivational example. Fundamental issues in crowdsourcing, in particular, incentive mechanisms for paid crowdsourcing, and algorithms and theory for crowdsourced problem-solving, are then reviewed. Several applications of algorithmic crowdsourcing applications are discussed in detail, with a focus on big data. The talk also discusses several on-going projects on crowdsourcing at Temple University. 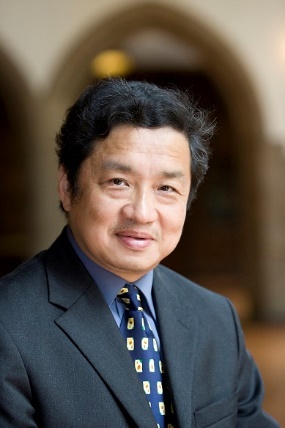 Jie Wu is the Director of the Center for Networked Computing and Laura H. Carnell professor at Temple University. He also serves as the Director of International Affairs at College of Science and Technology. He served as Chair of Department of Computer and Information Sciences from the summer of 2009 to the summer of 2016 and Associate Vice Provost for International Affairs from the fall of 2015 to the summer of 2017. Prior to joining Temple University, he was a program director at the National Science Foundation and was a distinguished professor at Florida Atlantic University.